Our team is always ready to help you at every stage of the software development lifecycle. This will be from the conceptualisation and consulting stage to development and support. At speMedia, we develop highly usable, powerful mobile apps that are guaranteed to solve all your business’s problems, reinforce your brand as well as attract users. We will build a hybrid, native and cross-platform application that runs on all major systems, including Android and iOS. We have a team of software engineers with a wealth of experience. They are experienced in building web applications. Furthermore, they are experts in many business domains, including finance, e-learning, e-commerce entertainment and many more. speMEDIA has a team of professionals that you can hire for testing and QA in order to ensure that you get the highest level of quality. We have a dedicated team with just the right expertise to meet your specific projects needs by providing standalone testing services. We offer test automation services that do not sacrifice quality. Leverage speMEDIA’s in-house automation framework to test APIs, functionality or mobile apps with unparalleled speed and robustness. 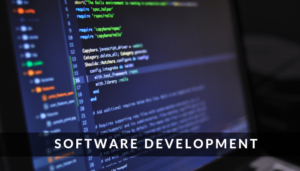 We have a dedicated development team that you can use to scale up or down all your development resources, reduce time to market and cut the development costs. We ensure total control and visibility with our solid process in place. We turn your business ideas into reality using a powerful combination of low-risk processes, profound tech expertise and proven experience. Contact us today and one of our experts will get back to you soon. Can you help me with getting software development in Zimbabwe? Yes, we can! Why not give us a call on +263 776 260 360 or email us to discuss your software development project whether you are in Harare or anywhere in Zimbabwe. Get a free no obligation estimate or contact us to discuss your exact requirements. We appreciate that your business is unique in its own right. Therefore, we will develop a personalised software development plan and approach for you. Kindly fill the form below and we will reply you urgently with a custom pricing quotation. We are open from Monday to Friday 8 am to 5 pm.